This is it. This is, for the time being, my final entry to the Road to Final Fantasy XV in 2015. The year is now 2016, the year I correctly predicted back at the beginning of this marathon would be Final Fantasy XV’s release year. In just two short months Square Enix will hold a special event where they will at last reveal the game’s release date, and by the end of this year I, as well as many others, will have finally played the game more than ten years in the making. The game that inspired this whole marathon in the first place. But I’m getting ahead of myself. I finished Final Fantasy XIII this week, so let’s start by putting a bow on that one. I finished the story of Final Fantasy XIII on Day 369: January 4, 2016. The last chapter of FFXIII was – this will be shocking, I know – a veritable mixed bag. On one hand, there is a segment of Orphan’s Cradle that allows you to RAPIDLY grind your party, as nearly every fight there rewards you with a massive 32,000+ CP, and returning to the save point at the entrance respawns them all. This is such an amazing chance to bulk up before the end. Additionally, straight from the beginning of Orphan’s Cradle you are given the choice to return to Gran Pulse to further explore the world and grind your heroes a bit more before the final showdown. This gives the illusion of freedom in the mostly linear game, which is a pleasant illusion, to be sure. The problem here is that many of the hunts you can partake in are much too powerful for you at this point in the game, no matter how much you grind, due to the final Crystarium level being locked by the end-game. So you can really only grind so far here before it becomes a boring chore. So you’ve powered up your party, and you’re ready to take on Barthandelus one final time, and save Cocoon by besting Orphan. Great! There’s just one problem. The first battle with Orphan is an infuriating game of chance, no matter your party’s strength. Once you whittle him down to about 50% of his maximum HP, he begins using an awful, awful ability called Progenitorial Wrath. This joke of an attack picks one of your three party members and instantly kills them. There is no damage dealt; it’s purely a one-shot kill. Now if Orphan should target either of your teammates, no problem; Phoenix Down them and get their butts back in the fight. Unfortunately, if your leader is the lucky recipient (as was the case for me FOUR attempts in a row), that’s it. Game over. Time to try again. Taking a game of skill and adding such a luck-of-the-draw attack to such a pivotal battle does not make that battle more of a challenge. It is a ridiculous move that throws any preparation and grinding you’ve done straight out the window. Consider it just another feather in Final Fantasy XIII’s “this game is good, but it’s also kind of bad” cap. At any rate, perseverance will be rewarded with a successful win eventually, and the end cutscenes are some of the most visually exciting yet seen in the series. There’s an awesome showdown between Vanille/Fang and Orphan, a handful of people becoming beautiful crystal and returning to normal, some extremely touching reunions of families, and a world saved by two hopeless souls. 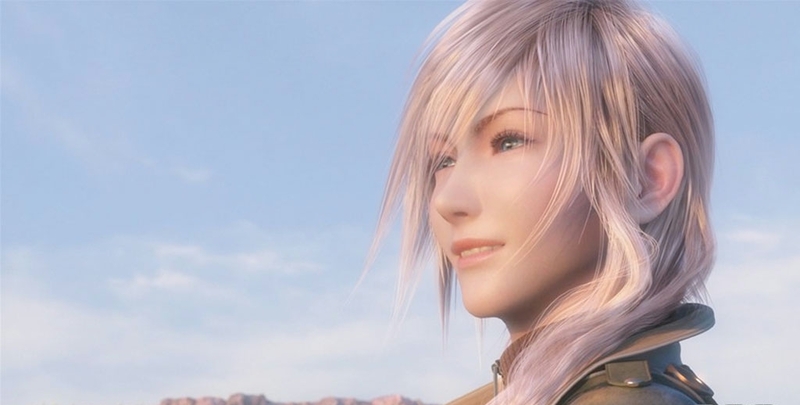 Oh, and Lightning even received her Squall moment, cracking a single eerie, but truly happy smile at the end. It’s all very nice, really. So as I’ve been saying this entire time, Final Fantasy XIII is a game of back and forth, of give and take. You’ll love one moment, then hate the next. Some gameplay is complete genius, while others are total head-scratchers. The story is quite lovely, but also fairly confusing. This is not a terrible game, but neither is it great. 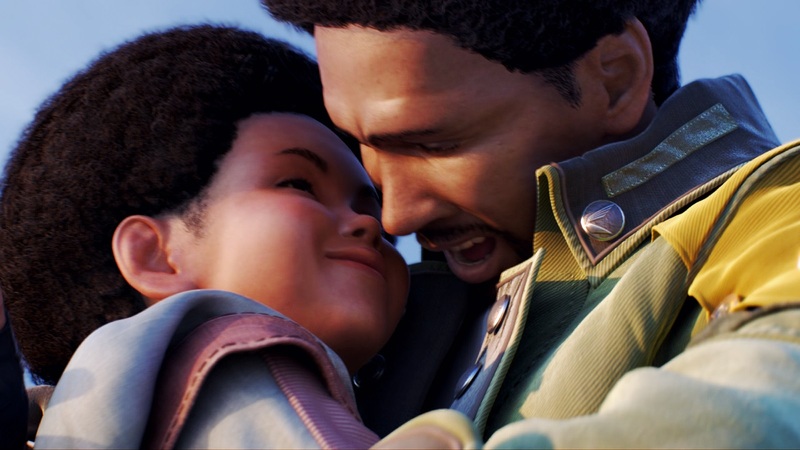 It certainly wouldn’t take much for Final Fantasy XV to surpass it, so let’s all hope Square Enix doesn’t drop the ball when it launches later this year. Thus concludes my final thoughts on FFXIII! Here are, for the last time, some end-game stats. There’s one write-up to follow, wherein I will discuss the marathon as a whole and look back at my year on Final Fantasy. I contemplated tacking the epilogue at the end of this piece, but instead have opted to put it as its own separate article. Look forward to it! < The Save/Continue Podcast – Episode 16: Bringing in 2016!